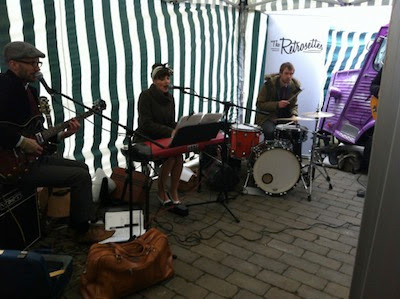 Quite appropriately for a Smiths themed fair, we copped some Manchester rain at our Hand in Glove Fair, sadly cutting short the delightful Retrosettes' set. 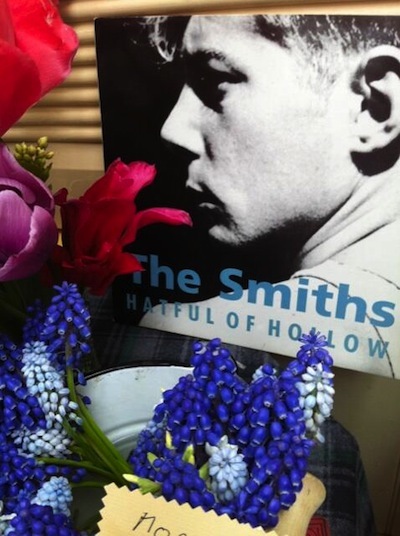 However, it wasn't all miserable doom and gloom - as, indeed, The Smiths weren't - far from it! Over a thousand visitors called round to enjoy our exclusive display of original Smiths documents from 1983, watch ace 1964 film The Leather Boys, listen to The Retrosettes' inventive retro-terpretations of Smiths songs, and, of course, to browse all those fabulous stalls. If anyone was deterred from visiting because of their aversion to The Smiths - we're aware that they're not everyone's cup of tea - here's just a taste of what you missed! 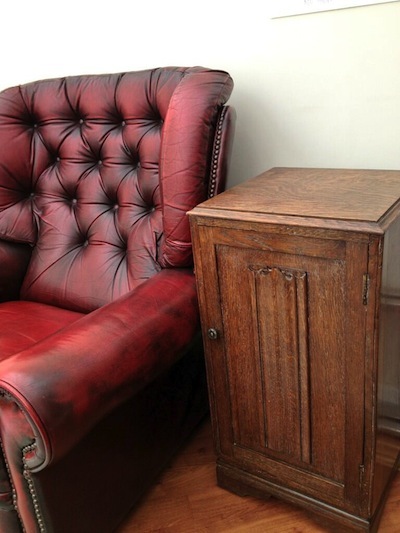 (It's worth making clear that our events are first and foremost about vintage goods, and the themes are a little side-dressing to add variety). From the impressive array displayed here, it's clear that there were plenty of treasures to be had on the day. Well done, everyone! 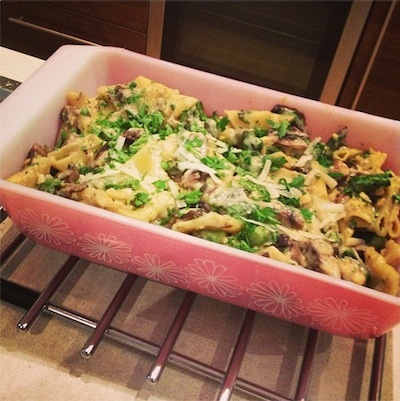 Our effusive thanks to everyone who shared their photos on Twitter and Facebook. We love seeing them, even when it makes us feel a teensy bit jealous! You can click on the '@' names to visit these discerning contributors on Twitter, and on the pictures to see their original source. Any traders who recognise their items, let me know and a credit will be added forthwith. 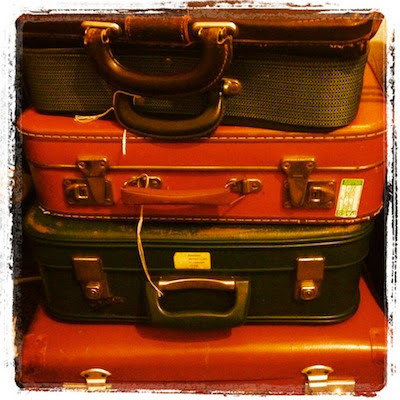 If you would like to contribute to our Visitors' Gallery, just tweet your photos @Vintage_Village or post them on our Facebook page. 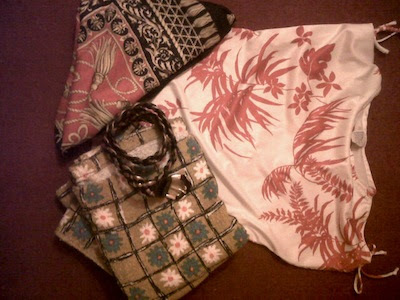 "My purchases @Vintage_Village today with MsBethTaylor"
[Editor's note: red and white leaf print top from TinTrunk]. 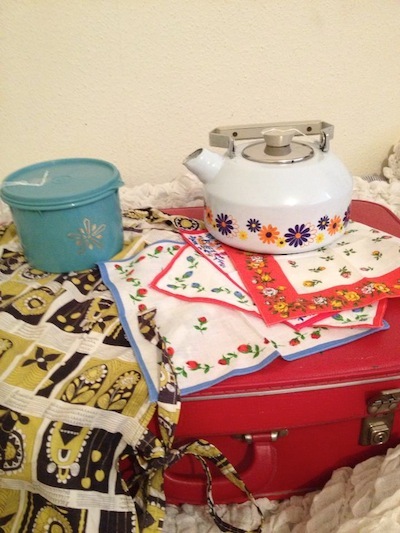 "My purchases today from @Vintage_Village , just not 70s enough?" 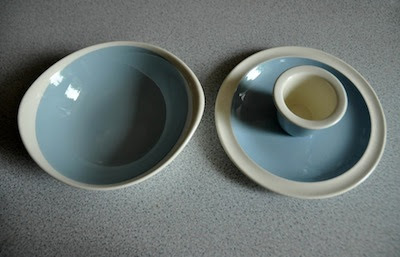 "@Vintage_Village early arrival at the fair reaped rewards! 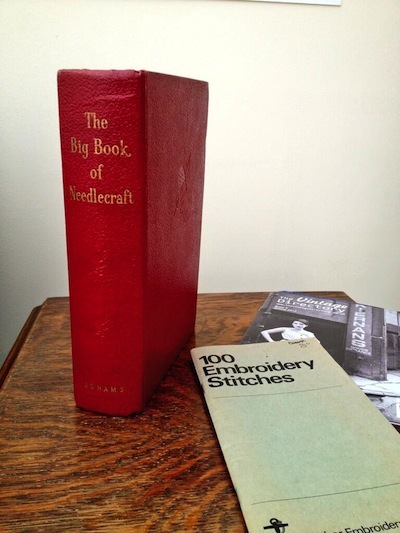 I am very pleased with my sewing books!" - thanks for a grand day"
"@Vintage_Village not to mention the cabinet courtesy of the very dapper Wayne! Looks great in my conservatory!" [Editor's note: that's Wayne of All Our Yesterdays]. 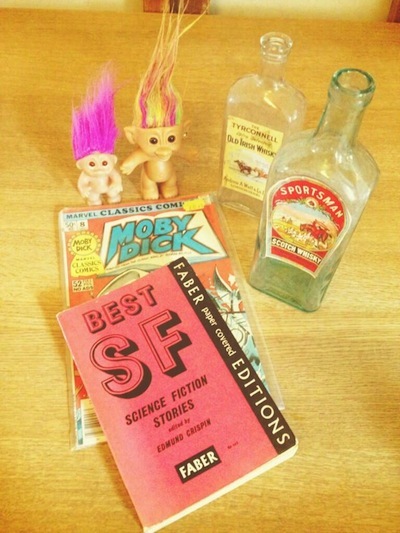 "Today's @Vintage_Village buys! ❤ Tucking into that malteaser cake immediately." 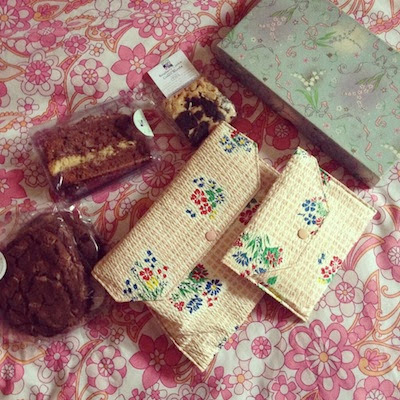 "Of course I can't go to @Vintage_Village without a trip to @STCakeDesign. 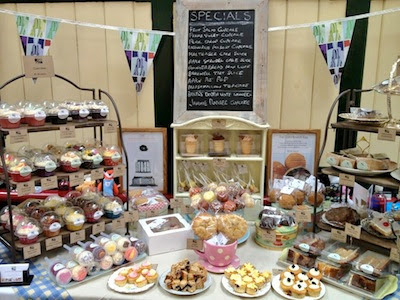 Beautiful display for beautiful cakes!" 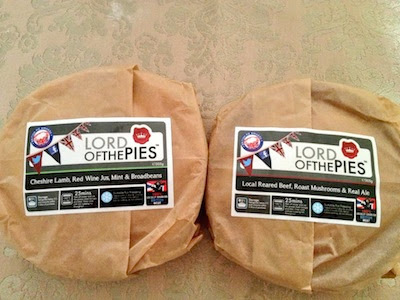 "@Vintage_Village also purchased more of @LordofthePiesGB These look like winners too! Can't wait to try them! 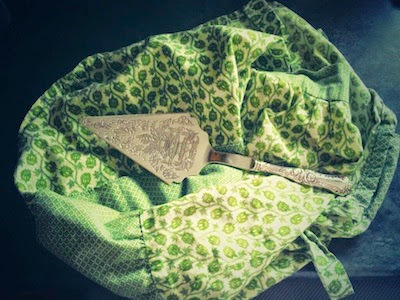 Nomnom"
"And an apron I bought previously from @Vintage_Village and yes- that is the sun!!" "Starting to get quite a collection of #retro cases. 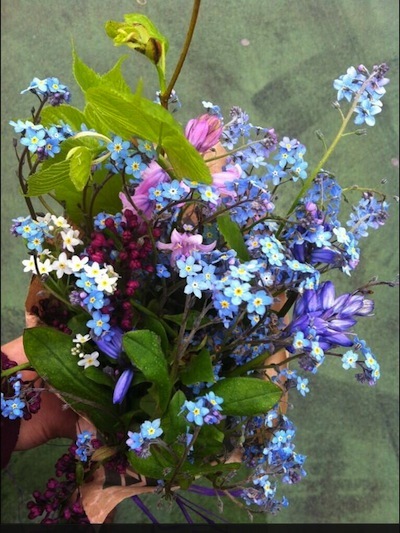 Largely due to @Vintage_Village"
"Homegrown posey from @flowerythings @Vintage_Village, Stockport." 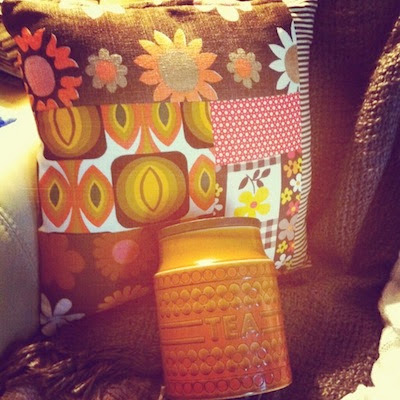 "@Vintage_Village a short but sweet visit today. 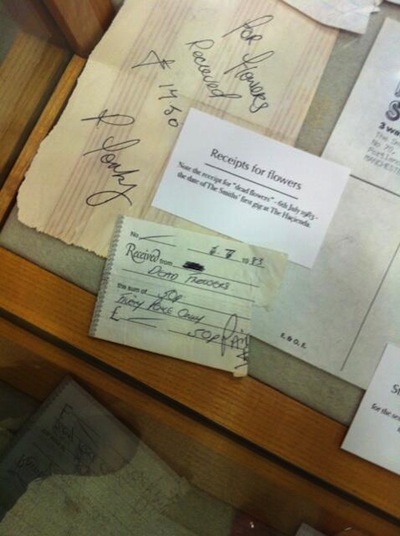 Love this receipt for #morrissey buying dead flowers!! 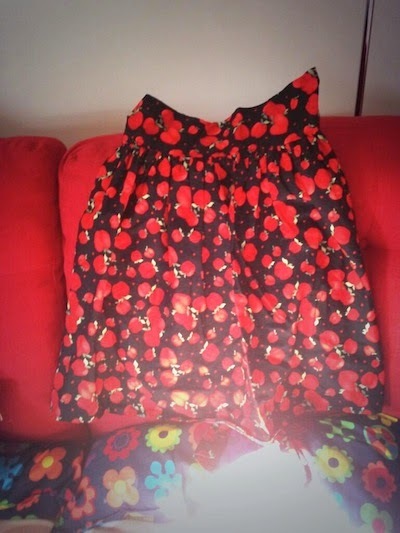 #thesmiths"
"More #vintage fair purchases....think I have a problem @Vintage_Village another great one!!" 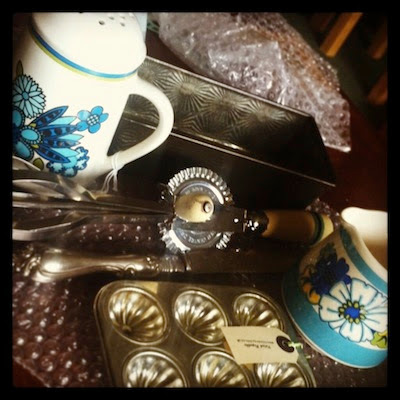 [Editor's note: sugar sifter at left from @PenelopeCatVtg]. 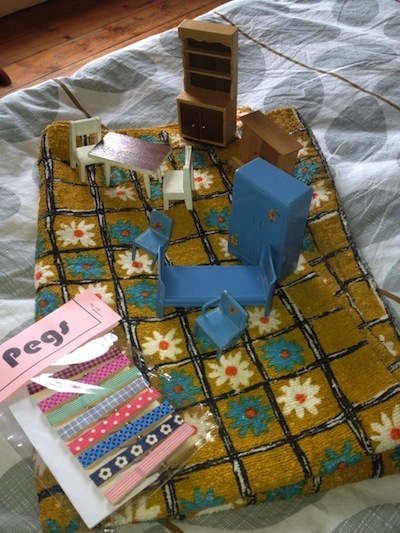 "Dolls house miniatures, towelling and Washi pegs bought today @Vintage_Village with the lovely @mrsjackD"
[Editor's note: Washi pegs from Jodi-Jo-Retro, towelling from Lonsdale Avenue]. 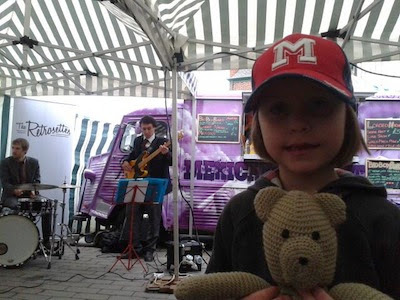 "Alice and Ted enjoying a ska version of 'there is a light that never goes out' by @theretrosettes @Vintage_Village"
"Lovely pyrex dish I found at @Vintage_Village today (dinner not included)"
"My apron and cake slice from @Vintage_Village this weekend- not a good shot I'm afraid"
"An eclectic haul from the @Vintage_Village"
"@Vintage_Village and a stall of gorgeous flowers"
[Editor's note: this is Watch the Flowers Grow aka @flowerythings].